Nicaragua is a nation that resides in Central America, about the size of upstate New York. It is known as the land of lakes and volcanoes for its natural beauty. Yet, with this natural beauty, Nicaragua for decades has known nothing but turmoil due to natural disasters and political instability. The Nicaraguan people overthrew the Somoza dictatorship during the Nicaragua Revolution, leading to the rise of Sandinista National Liberation Front (FSLN) party. The transitions of power caused Nicaraguans to immigrate abroad while the situation in Nicaragua remained mostly quiet but still unstable. Being Nicaraguan is complicated even if we are not 100% aware of it all the time. I did not meet my home until the age of 10 and we haven’t seen each other in over 12 years. My parents came to this country with nothing. They crossed borders and made it all the way to Miami. My parents would tell us vague stories of what it was like and how they lived. But never in detail and I think it had to do more with them than with me. I have known that Nicaragua is not free, I knew this when the presidential limits were overturned in 2014; allowing president, Daniel Ortega, and leader of the Sandinista party to run for a third successive term in 2016--choosing his wife, Rosario Murillo, as his vice-president. Out of pain, I tried to ignore it and push it away but recent events have decided otherwise. I began to follow what was happening on Twitter when the Reserva Indio Maiz was set on fire. 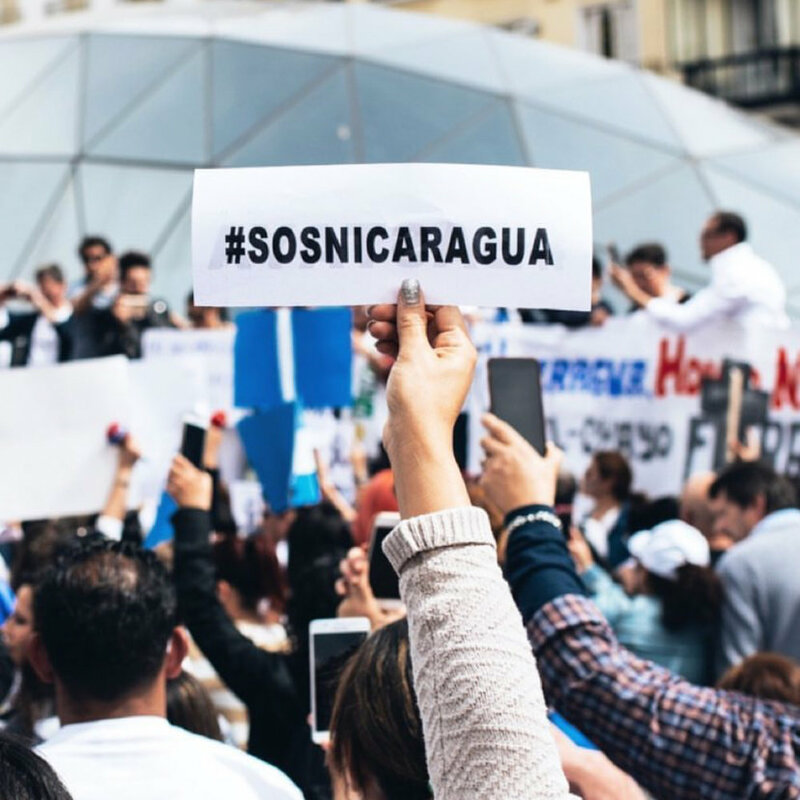 Then the social security tax reforms were signed into law last week, followed immediately by protests led by university students in the capital of Managua, and quickly spread throughout the rest of the country. Little by little I started to construct an image of what was happening in Nicaragua today. The limited contact that I do have with my family members over there has never told me much as they don’t bring up politics with me. To them, everything is “fine” and I understand this coping mechanism as a means for survival. I do not blame them. Things have happened so fast, it’s been so difficult to keep track of. It seems like almost instantly protests began and #SOSNicaragua took hold. What my parents escaped from, what they have spoken to me about or lack thereof, was presented to me on Twitter and on Facebook in ways my heart and my mind would have never imagined. Videos of people dying or of them being extremely injured were shared. It is a reality that exists that I view from a glass wall. This is a pain I have never ever felt in my life. It feels like I am trapped because I am not there, every fiber of my being wants to be there. It wants to yell, it wants to be with students, with older folks whose pensions are affected, it wants to be with family. This reality is opened by an app that I can comfortably close at leisure. I can choose to participate and spread their voice or I can choose not to. That is the privilege I have and to be honest with you, I FEEL AS IF I DO NOT DESERVE IT. I am compelled to share information as fast as I receive it. Why? Because that could be me, it could be any of us. Only by happenstance and sheer luck was I born on U.S. soil. As all of this unfolds, I have been glued to social media. I have forgotten all of my responsibilities, I feel uncomfortable everywhere because I am not where I belong. Yet as all of this happens, I have internal questions for myself and for others. What happens next? What is next for Nicaragua? We have a history that is unique, that is humanitarian. Sandino (a historical Nicaraguan revolutionary rebel leader in the 1920s and early 1930s) is our ancestor while some of us agree with it or not. It is our heritage. How do we unpack this information? How can we create a better future when the main person who has led the FSLN revolution these last few decades is the person who has betrayed Nicaragua immensely? I do not have the answers to these questions. What I do know is that I want a free Nicaragua for everyone. I believe that as Nicaraguan-Americans we have a responsibility to continue to spread the word. To make the world understand what Nicaraguans have been undergoing for so long. 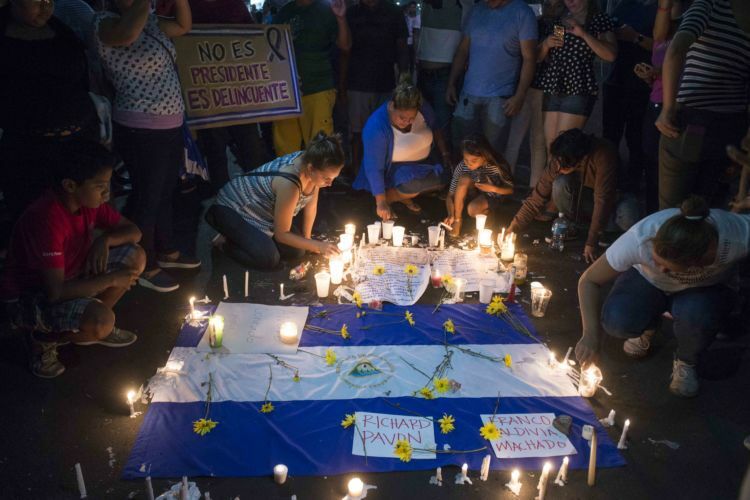 This reckless abuse of power and human rights is not what Nicaragua needs or wants. I have family members who are protesting and I have family members who are in hiding out of fear. None of this is right. How can a country so beautiful only know pain? When she was created she was not created for this. She was created for so much more. She’s created solidarity with her children abroad and with her neighbors. We are here to serve her and while that can be extremely nuanced, we must remember this during these difficult times and keep her moving forward. Remember what your parents and ancestors fought for, remember what our people deserve. And do not ever forget. Gata Jiron is a 27 year old, Nicaraguan-American born in Miami, FL based out of the Washington DC metro area. She is a health tech worker with an interest in Latin American current events specifically in Central America.